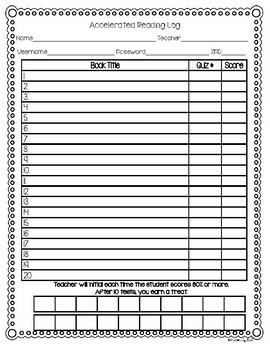 This is a simple log I created for my students to document their scores. It allows me to give them a treat after making 10 scores of 100. They seem to enjoy it and my treat jar isn't empty nearly as fast.